The engineering – the simple arch being the state of the load-bearing art back then – was adapted to the materials (wood, stone, iron) and workmanship of the day. It carried weight without actually needing material below the weight itself – which was a major advance. The goal, of course, was to make bridges into statements – about the people who designed, built, and above all authorized and paid for the bridges. “We can bridge the mighty [East/Mississippi/Colorado/James] river – we can do anything!”. The function of the bridge was on full display – the suspension cables, the trusses, the intricate supports that, working with the materials of the day, kept these structures and their passengers up in the air where they belonged. Then, times changed. As materials improved (steel became cheap and ubiquitous) and architectural tastes morphed (modernism/Bauhaus/what have you intersected with Urban Renewal and the building of the Interstate highway system), the philosophy changed again. The statement wasn’t so much “we can surmount this obstacle” as “this obstacle never existed, Winston“. The bridge, like the obstacle it surmounted, became an unobtrusive, almost unnoticeable, element in the freeway experience. This seemed to be the dominant philosophy from the fifties through the late eighties. From the middle lanes, it’s possible to have no idea you’re on a bridge, much less crossing a stunning expanse of the Mississippi Gorge, at all. In the nineties, the philosophy changed – again. Thankfully. I push my conservative penurity aside to note that the Wabasha Bridge – crossing the Mississippi on Wabasha avenue over Raspberry and Harriet islands – was a long-awaited return of style to bridge design. 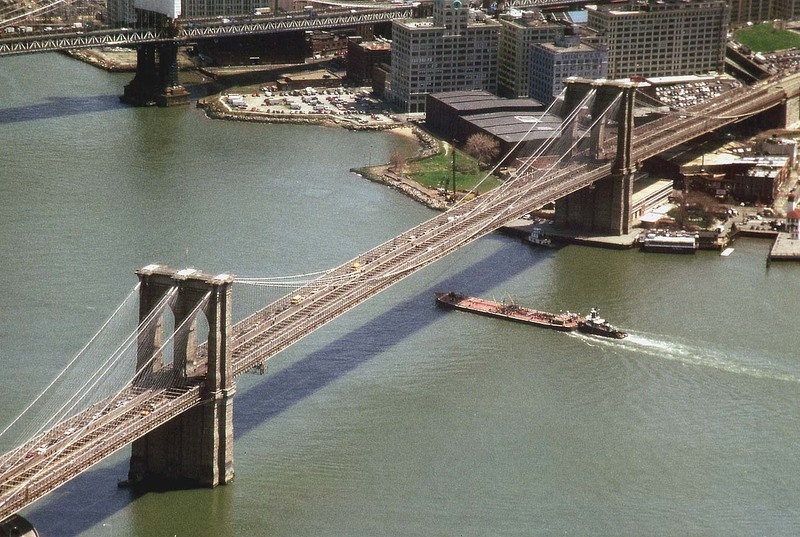 There are only 15 other bridges of this type in the United States with spans this long or longer. plus the end zones and some stands. basketball court 89 feet deep. The bridge will have over 2.8 million pounds of reinforcing steel embedded in it’s concrete. laid end to end, the strand would reach for 275 miles, or about from St. Paul to Milwaukee. The main piers are designed to withstand a barge impact force of 3.2 million pounds. The bridge will be supported on 460 vertical steel I-beams driven an average of 60 feet through the soil to bedrock. The thickness of the bridge will vary from 8 feet in the middle of the span to 20 feet at the piers, about the height of a two-story house. Facts, figures – all well and good. But let’s talk aesthetics. The Wabasha Bridge is OK to look at (compared with utilitarian structures like the Fort Road bridge or bland avoidances like Dartmouth or Lexington). It shines the brightest, of course, from the perch on the bridge itself. Saint Paul has always been a river city. Somewhere along the way (I’m far from the first to observe this) the city turned its back on the river; Saint Paul’s riverfront for the past five decades has been an afterthought – almost a poor, embarassing cousin, to a city that seemed to labor to move its center of gravity up the bluff to the middle of downtown. 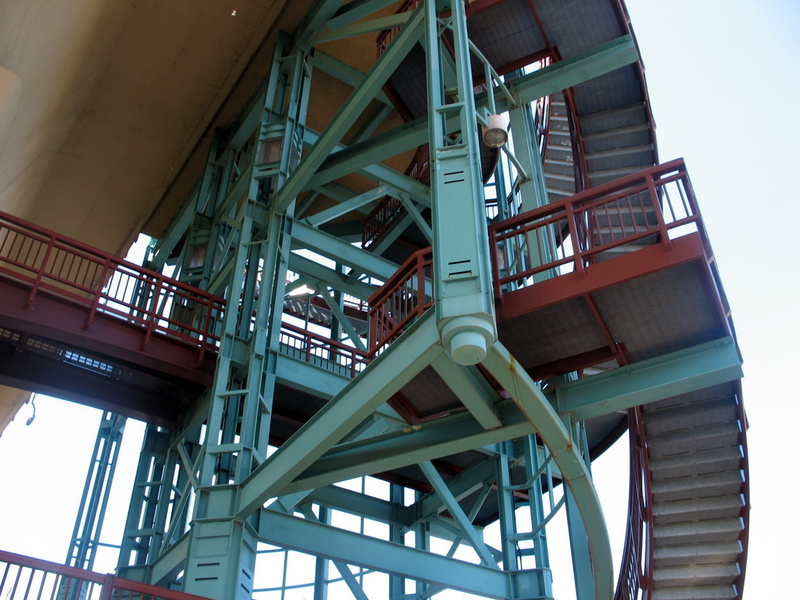 The color scheme of the bridge was also planned to reflect the architectural heritage of St. Paul, with a soft buff color (the color of sandstone) to reflect the colors used in many downtown St. Paul buildings. The color of terracotta roofs in the city was used to select the color of the railings, and the green patina of the St. Paul Cathedral is echoed in the ornamental color of the overlooks. …or at least Raspberry Island. You get the sense that the river isn’t an annoying inconvenience, when you’re on or about the Wabasha Bridge. …well, no. Not quite. But we’ll get to that. Brooklyn Bridge in da house, woohoo! No props for the George Washington Bridge? Indeed, on further reading, I see that I should find another reason to highlight it – its architect, Cass Gilbert, also designed the Minnesota State Capitol among many other prominent buildings in the Twin Cities.